A brandnew SABBAT release, including two new songs, one new recording of their own classic track "Crest of Satan" and a live version of "Total Destruction". More than 20 minutes in total. These are the last studio recordings of SABBAT's era with "Damiazell". Beautiful one sided ETCHED LP, comes with sleeve and inlay. GOLD etching on BLACK! 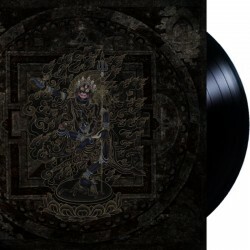 https://moribundrecords.bandcamp.com/album/disciple-of-the-heinous-path Limited to 400 copies on black vinyl. With printed innersleeve. https://satanssatyrs.bandcamp.com/album/wild-beyond-belief-2 Satanic Doom/Heavy Metal. US-import! Single-sided 12" with huge poster. 100x handnumbered on crystal clear with black splatter vinyl. Listen here! https://secrets-of-the-moon.bandcamp.com/album/stronghold-of-the-inviolables-thelema-rising Secrets Of The Moon's debut album "Stronghold Of The Inviolables" from 2001 is considered a milestone of German Black Metal. The vinyl re-release comes in a gatefold sleeve and including a poster and PVC protection sleeve, limited to 500 copies. 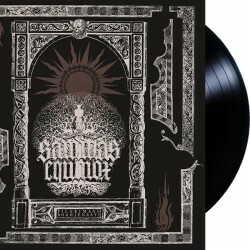 https://necrocosm.bandcamp.com/album/hosanna-sathana Limited to 296 Handnumbered copies. Including: A2 Poster, Printed innersleeve & etching on B side. 2nd opus of Holy Ritual Doom Drone for the first time on vinyl. 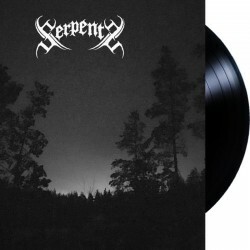 https://serpentcolumn.bandcamp.com/album/invicta 2nd album. Limited to 300 copies. Comes with a 9" x 9" 4-page insert. https://www.youtube.com/watch?v=9XBZouHk2yw 12'' MLP, limited to 300 copies. Black vinyl, Side-B is laser etched. Includes 2-sided insert sheet. Artwork has pantone silver color. https://siculicidium.bandcamp.com/album/land-beyond-the-forest Transylvanian Black Metal. Limited to 300 copies.